NetMRI enables organizations to take control of network configurations and changes-making it easy to identify hard-to-find configuration problems and meet compliance requirements. Instead of just logging changes, NetMRI utilizes built-in subject matter expertise to audit, analyze, and automate network change. 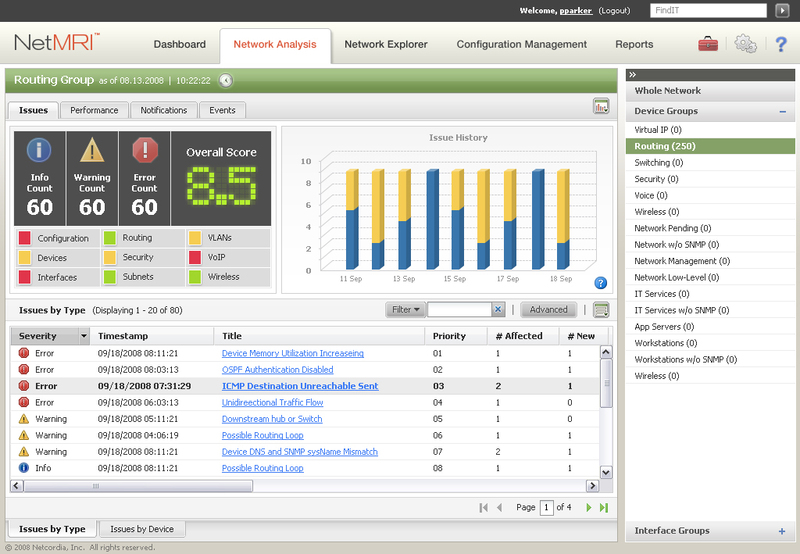 With in-depth, out-of-the-box expert analytics, NetMRI isolates health and configuration issues before they cause major problems.